Amy Medugno, Senior Vice President, is a real estate leader with over 16 years of experience in the industry. 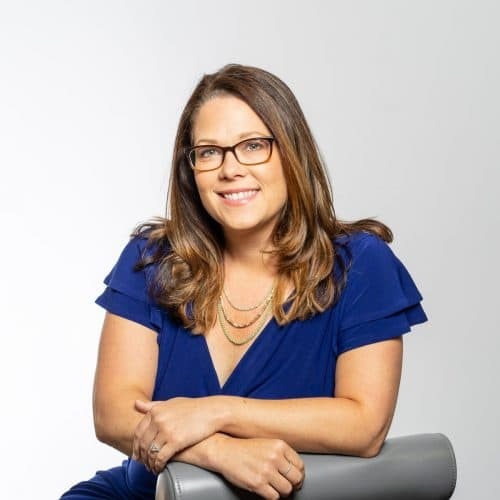 Amy currently oversees over 20 properties in the greater Boston area and Connecticut. Her portfolio of nearly 6,000 units, are all third party owned assets. Her experience with Bozzuto has been with urban and suburban lease-up properties in the Class-A market, as well as transition takeovers and stabilized suburban communities. Amy also has experience with predevelopment, mixed-use, lease-up and has a proven record of accomplishment developing award-winning teams and properties. Amy joined Bozzuto Management Company in 2012 to assist with the continued growth of the Northeast portfolio. Prior to her promotion to Senior Vice President, Amy was regional manager for a portion of Bozzuto’s Boston portfolio. Before joining Bozzuto, she was a Regional Financial Analyst working closely with the Division President and Regional Team on the oversight of the Northeast portfolio. Additionally, Amy has also held various positions with Windsor Management Company (GID) and Riverstone Residential throughout her career in property management.